In a brief continuation from Fish, Fowl, and Nuclear Radiation, Symptoms, Not Signs, we’d like to add a couple insights from this week’s short 67 verse Torah portion, Tazria, and the corresponding teachings of the Arizal enlightenment. Binah, the sefira (dimension) of understanding, one of the upper 3, has the numerical value 67, which is the first clue that this portion contains some important hidden “understanding” for us. 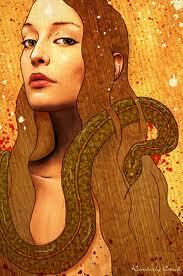 Let’s first note that the portion begins with and is all about the uncleanliness (spiritual impurity) that resulted from the snake’s intimate relations with Eve, which created the separation of Jew and Gentile souls and the admixture of good and evil in Eve’s womb. That said, we once again are faced with the battle of good vs evil in the power of the Cohen (HCHN) vs the plague (h’negah, HNGA). As we said in our ultimate article about the events playing out this year around the world, the symptoms all point to problems in the critical sefira of Yesod of Zeir Anpin. On the side of good we have the Cohen(HCHN), of standard numerical value 80, the same as Yesod (YSVD) gematria, and of complete gematria sofit value of 777, as in 5777 (2017 CE). On the side of evil we have the plague (NGY) of numerical value 123 and ordinal value 33 for a complete value of 156, the same as Joseph whose energy is associated with Yesod. Now, according to the Arizal this battle is played out by the dark angel Samael, who we showed to be connected to the current events, and who is in charge of the supernal princes of the 70 nations, and by Michael, who is guardian of Israel and who presides over the 70 sages of the Great Assembly, corresponding to the 70 souls of Jacob. The good news is that the word for the Cohen(HCHN) is found 57 times in this portion, up to and including the 107th times this word is used in the Torah, and as we’ve written about extensively, the sum of all the positive integers through 107 is 5778. And note that HaCohen is the only word in the Torah tied to the word Moshiach, the Messiah. The word for plague (negah, NGA) is found 13 times in this portion, and 13 is the numerical value of love, ahava. Together the occurrences in this portion of the Cohen(HCHN) and plague (negah, NGA) are found 70 times, connecting this battle to the epic one that has already begun. If we look at the word for plague in this portion with all its prefixes, such “the plague (HNGA)” and “and the plague (VHNGA), there are 31 more, making 44 in total, as in Dam, blood, the first of the 10 Plagues in Egypt. However, 44 occurrence of “plagues” and 57 of “the Cohen” total 101 together, as in the numerical value of the archangel Michael, the angelic personification of chesed, all that is good. What is this plague? The Torah was referring to a condition that existed only while the Tabernacle and Holy Temple existed. Today it might refer to any number of afflictions. 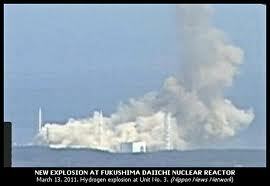 The only thing we know is that Fukushima Daiichi continually spewing toxic radiation into the atmosphere cant be good, and that the fish and bird kills are both symptoms of what ails us and signs that our environment is not healthy. The Arizal explains that 70 years is the maximum number of years of suffering that an individual can be decreed. If we extrapolate that to a Nation we see that the Babylonian exile of the Jewish nation lasted exactly 70 years and that the year 5778 (2017-18 ce) will be the 70th year of the Israeli nation, formed in 5708 (1948 CE). The upheaval throughout the Mid-East and the dethroning of their rulers is because the 70 supernal princes are falling one by one. As above, so goes below. The spiritual concept of time is a more spatial one and therefore 7 days, 7 years and 70 years are all cut from the same cloth, so when this portion also speaks about the baby boy transcending the 7 days and being circumcised on the 8th, the tzaddikim understood this to mean the 7 years of the birth pangs of the Moshiach and the fulfillment of his brit (Covenant) in the 8th year. 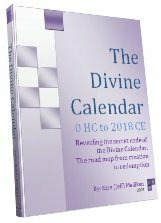 7 years from 2011, when the nations started falling, is 2018, and ironically, it was in 2018 HC that G-d made His Covenant with Abraham, 70 years after he was born. The Real 5 Books of the Torah: Dimensions Beyond. There are 5 Books of the Torah as we see them laid out in the scroll before us, 2 dimensionally, and even if we study its secrets and read the Rabbis’ different interpretations, there are still only 5 Books divided into a stream of words, but that’s because we’re only looking at them from our limited point-of-view, stuck in Malchut. 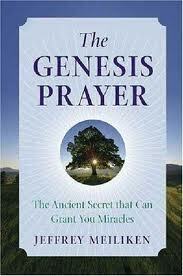 There is another way of viewing them that will expand our consciousness and raise us into the Tree-of-life. This is Wisdom for those that understand. The Arizal in his commentary on portion Terumah, said that the Torah was at the level of Yesod of Abba, which is Chochma, which is also the Yud in the Tetragrammaton (YHVH). We’ve read elsewhere and also from the Ari himself that the Torah is at the level of Zeir Anpin (the bundle of 6 sefirot/dimensions from Heaven to Earth), and also that it’s at the level of Binah, so what gives? What gives is our limited perspective. They are all right. In the Arizal’s pregnant statement that the Torah was at the level of Yesod of Abba, we can see that there are about 80,000 words in the Torah and then knowing that 80 is the numerical value of Yesod(YSVD) and that the 5 digits in 80,000 reflect 10x10x10x10 or 104 we have clues to understanding the Ari’s statement. 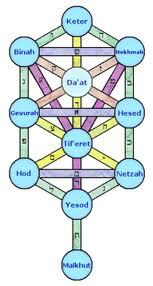 First we must understand that there are 5 main levels of the sefirot corresponding to the 5 worlds and the 5 parts of the YHVH. Then we can see that 5-digit numbers are at the level of 104, as shown above, and thus they are at the 4th level, which as the Arizal said, is Abba (Chochma). We can thus understand from the Ari’s statement that the words of the Torah are at level of Yesod of Abba (Chochma). Yesod is the point (funnel) where the light flows into the next lowest sefira, in this case Binah or Imma. And the pseudo-sexual reference to flowing into Imma from Abba is not coincidental as this analogy is as best we can understand it and Yesod is indeed associated with the sexual organs for this very reason. In fact, one of the reasons that there are 79,976 words in the Torah and not 80,000 exactly is that 24 of them, or .03% were removed in a spiritual circumcision of sorts, since a proper circumcision (brit milah) is done is 3 parts: a) cutting away the foreskin, b) Revealing the glans, and c) Extracting the blood from the wound. Now, there are 600,000 letters in the Torah. Actually there are (600,000 -408) component letters of the 304,805 full letters in the Torah, as we’ve explained in previous articles, but the sages use the 600,000 figure, corresponding to the 600,000 Israelites at Sinai. The numerical value of the letter Vav is 6, and 60% of the verses in the Torah begin with the letter Vav. And if those 408 missing letters were Vav’s, their value would be 2448, the year the Torah was revealed at Sinai, which would be .408% of 600,000. Nevertheless, 6 is representative of Zeir Anpin. And 6 digits is at a higher level that the 5 digits of Abba (Chochma), and thus would be at the highest level of Keter. Thus the 600,000 letters of the Torah are similarly at Zeir Anpin of Keter. How are we to understand this? 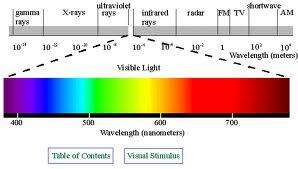 When we look at the Torah we see letters grouped into words, but this is like seeing the various components of light already assembled together: the blue wavelength, red, infra-red, ultra-violet etc. Or seeing matter already formed with electrons, protons, neutrons. It’s all been put together to make it easy for us for us to comprehend the universe, but in the end all we see is the limited malchut world of illusion, a reflection of the truth instead of the Tree-of-life reality beyond limitations. Any scientist will tell you that the atoms are 99.9% empty space, so how come we can’t see or pass right through them? A better question might be, who said we can’t? In actuality, the letters and words exists on separate planes of existence, which is why gematria can analyze them separately and add to the whole, rather than detract from it, and it’s also why Rav Abraham Abulafia of blessed memory said Gematria is the highest form of Torah understanding. As for the 5845 verses of Torah, they are 155 less than 6000 and 67 more than 5778, the year prophesied by Rav Ashlag, etc for the final redemption (geula) and the 3rd opening of the Tree-of-life reality in our world. While the 4 digits indicate the world of Binah (Imma) one dimension beneath Chochma (Abba), 6 again signifies the 6 dimensions of Zeir Anpin, and 67 is he numerical value of Binah (Imma), reiterating that connection. And 155/6000 is .26%, with 26 being the numerical value of the YHVH, which on a whole is Zeir Anpin. Therefore the verses of the Torah are in the dimension of Zeir Anpin of Imma (Binah). Taken together all 3 elements in their separate superimposed dimensions (Letters, Words, and Verses) add up to exactly 58, 5 raised to the 8th power. Now that’s perfection not attainable from our limited perspective. Nevertheless, There are two more major Torah elements, the 670 paragraphs and the 187 Chapters. The 3 digits of the 670 paragraphs represent Da’at, the triple balancing point, or reservoir of knowledge between Chochma and Binah, and the place from where Zeir Anpin draws its shefa (life-force). And once again 67 is the numerical value of Binah; therefore the 670 paragraphs are in the dimension of Binah of Da’at, which is the level where Moses drew his energy and wisdom. There are 26 generations delineated in the Torah, and they averaged 91 years each. Then from Moses (the 26th generation) on, we and according to chazal, he, lived 120 years each generation. This gives us an average of exactly 107 years over 54 generations to 5778, since 5778 = 54 x 107. Now the 67 chapters represent 35.8% of 187, and 358 is the numerical value of Moshiach, the Messiah, who is to be manifest in 5778 (2018 CE). All that said, the 2 digits of the 67 chapters are on the level of Zeir Anpin and 67 is Binah. Meanwhile the Arizal tells us that 120 represents the 120 permutations of the 5 letters in Elohim (ELHYM), the Name of G-d at the level of Malchut. Therefore, the 187 chapters stretch from Binah to Malchut, which is Zeir Anpin . And when we read he Torah, the table it sits on is Malchut, where we then see all 5 dimensions all together as One: Keter, Chochma, Binah, Da’at and Zeir Anpin brought down to our level. Did you notice that the smaller the individual Torah element (the individual letters being the smallest and the chapters the greatest) the higher the sefirot (dimension) it connects to. It’s just like the tip of Yud in the YHVH. The adage less is more is very ancient. 5778(2018 CE) is almost here, isn’t it time we rise up to the Torah’s level and see its infinite multi-dimensional beauty. When we are in sync with the luminous 5 dimensions of the Torah we are in another state of mind and being. 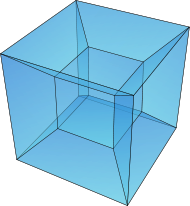 We go from viewing the world as 3-dimensional objects and 2-dimensional words on vellum to viewing it as a 4-dimensional hypercubes (Tesseracts). These have 32 edges, just like the 32 Paths of Wisdom that form the Tree-of-life, all of them connecting various wondrous gateways of limitlessness. Moreover, those 80,000 words in Yesod of Chochma are divided into exactly 1024 word values, which is precisely 32 x 32, thus expanding the Torah’s dimensionality even further into a full 5-dimensional hypercube or Penteract. 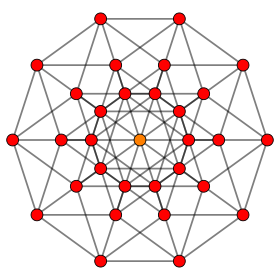 It has 32 vertices and 80 edges and 80 faces. The Zohar and sages of blessed memory say the Torah has 70 faces, and with the 10 sefirot there are 80, completing its 5th dimensionality. The image is a little hard to fathom, but it’s only a projection, nothing like being able to access those dimensions. everything we see in our world is nothing more than illusory projections of higher dimensions on the walls we’ve built up around us, and on the ceiling we’ve built for ourselves. If you were to shine a flashlight above a cube onto the wall, you’d see a square. That’s what we’ve done to ourselves, accepted the square as the end-all. And with 248 columns and 42 rows per column we add two more dimensions to the Torah dimensionality, two more aspects of Zeir Anpin, which when added to the words, letters, and verses in the Torah give us a total of 401273 Torah elements, which work out to exactly 248,000 X Phi, the primordial mathematical constant of value 1.61803399… that controls the natural spiraling growth in the universe, from the petals on a flower to the arms of the Milky Way. And while 248 is the numerical value of the Hebrew word for mercy, Abraham, and while 2480 is the numerical value of the Names of all 5 Books of the Torah, when you start from One and spiral outward 18 times, or Phi18, we get exactly 5778.000. And by the way the square root of 18 is 4.2426 or 424, Moshiach Ben David with 26, YHVH. Just step outside the square. Isn’t it time we explored the Torah’s higher dimensionality. Isn’t it time we left the world of limitation, Malchut behind, and prepared for the Tree-of-life reality. 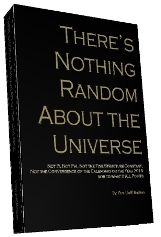 Author Jeffrey MeilikenPosted on February 6, 2011 Categories RevelationsTags 10 dimensions, 10 sefirot, 107, 120, 120 years, 2448, 26, 32, 32 paths of wishdom, 358, 408, 54, 5778, 5845, 600000, 67, 670, 80, binah, Chochma, Da'at, final redemption, gematria, generations, geula, hypercube, Lemehk, malchut, moses, Sinai, tesseract, Tetragrammaton, Torah, tree-of-life, YHVH, zeir anpin8 Comments on The Real 5 Books of the Torah: Dimensions Beyond. The Secret in the Song; The Secret of Moshiach. in the middle of the all-important Song of Moses that holds one of the most important secrets of the Torah. The Zohar goes on and on about the connection between this 32nd chapter (parsha Ha’Azinu) that’s shaped like the Magen David and the 32 Paths of Wisdom, in other words the Tree-of-Life. The Zohar also tells us elsewhere that Moses reincarnates every generation and brings us the spirit of Moshiach each time. We’ve written earlier about how Moshe and Adam (and many other tzaddikim) both knew when Moshiach was supposed to arrive. The Arizal tells us that David was an incarnation of Adam in the triad (ADM: Adam-David-Mashiach) and we’ve written about how the midpoint of David’s life (2889 HC) marked the midpoint in the Divine Calendar that is punctuated with the arrival of Moshiach and the geula (final redemption) in 5778 (2018 CE) as advised to us by Rav Yehuda Halevi Ashlag (HaSulam), 7 years from now. And as Rav Brandwein points out, 78 is (Ayin-Chet), the initials of AZ ChYYM (the Tree-of-Life) that is prophesied to manifest for us in 5778, as the Zohar says 70 years after the formation of the state of Israel in 5708. Please note that this divine manifestation in 5778 is just a powerful window of opportunity and not a foregone conclusion; we must earn it. Now, as for that little phrase mentioned by Moses, the one that contains one of the deepest secrets of the Torah, it begins with “For I lift up my hand to Heaven, and say,” and follows with “Chi Anochi L’Olam (ChY ENCY LALM),” meaning “As I live forever.” People miss this extremely significant detail because they assume Moses is speaking for G-d, but why would G-d in Heaven raise his Hand to Heaven? What is this like? It’s like when Moses held up his hand to empower the Israelites to defeat the Amalekites. The Torah tells us as long as Moses hand (was) is raised the Israelites would win; when it wasn’t Amalek, the Kabbalistic code word for “doubt” of the same numerical value, would win. Whoever was talking for Whom, Moses was and is the channel, our channel. And if his hand remains up in the end of days, we win, triumphing over our doubts so as to experience the Tree-of-life reality. Both related verses are followed by verses describing the use of the Sword (Charev) of Moses (details for another day) and both verse end similarly but with an all-important disctiction. The verse at Devarim 32:40 ends in forever (LALM), while the verse at Exodus 17:11 ends in Amalek (AMLK). The difference between them is that the Hebrew letter Lamed extends upward toward Heaven and the Hebrew letter Koof descends. Numerically their difference is 70 in standard gematria, and 7 in ordinal value, 77 altogether. The choice is pretty clear: we support Moses and keep his hands held high as the Israelites did during their earlier battle, or we don’t. The Torah goes on to warn us that “G-d shall be at war with Amalek for all generations,’ meaning, we shall face our doubts until the very end. While the initials of verse 32:40 (ChEL) sum to 39, as in tal, the dew that will resurrect the dry bones at the end of days, an over simplification of a topic that the tzaddikim have filled volumes on, it’s the final letters and the complete gematria of the 3 words that tell the full story. As Chazal explains, the final letters of a Torah phrase refer to the future and if so, the future this phrase points to is Keter, the highest crowning sefira (dimension). The final letters sum to 620 (Keter), just as there are 620 letters in the 10 Commandments, which was the last time Moses brought us to the summit of the Tree-of-Life reality, 3330 years ago (66.6 jubilee years). But it’s the full 3 words that explain it all. Most of our readers already know the equation 54 x 107 = 5778 and significance of 54 being the timing rhythm our brains operate on etc., and also that the sum of all the integers though 107 is 5778 in the same way that the sum of all the integers through 73 (Chochma/Wisdom) is 2701, the numerical value of the Torah’s first verse. To those readers it will be all the more significant that the ordinal value of “As I Live (ChY ENCY)” is 54 and that of “As I Live forever (ChY ENCY LALM) is 107; nevertheless, to everyone it should be relevant that the complete gematria of the phrase Sung by Moses to the Israelites in the 5792 verse of the Torah is 376, that of Shalom (Peace). Moreover, the 7 Yuds in the full verse represent the 70 years that Adam gave to King David, and also of the Zohar’s prophecies for Israel, and also of Abraham’s life prior to his receiving G-d’s Covenant for Israel in 2018 HC, and thus we see that the 7 remaining years to 5778 represent the final tenth (or tithe, 7/70) of the 70 final years until 2018 CE (5778 HC), so let us overcome our doubts, keep Moses hand upraised, so that Moses shall live forever and Peace shall be upon us, as the Tree-of-Life once again becomes a reality for us. As aided and guided by the Torah, lets follow the Lamed of forever and look upward, and not downward along the Koof of Amalek for the remaining 7 of the 70 years. Why was this revealed in verse 5792 and not 14 verses earlier in verse 5778, who knows? Maybe it’s because 14 is the numerical value of David, or of “Hand (YD),” as in the hand that will be lifted up to Heaven. Or it could simply be that this was the 302107th letter in the Torah. Or it could be that we are to count this time from the 14th verse in the Torah in which G-d placed the lights in the sky? And the brightest of those physical lights is our Sun, whose surface temperature is undeniably, 5778 K, the only temperature that would sustain life on Earth as we know it. As for the full verse, its initials sum to 161, as in G-d’s higher Name Ehyeh, and the final letters of the entire verse sum to 376 (peace) yet once again (when the kolel of 1 is subtracted). And the first 3 words of the verse (Ki EShah El) add up to 363, that of H’Moshiach (the Messiah), just in case we weren’t exactly sure to what or to who the final 3 words were referring in Moses’ reincarnation. Finally, the first and last letters of the verse (Caf and Mem sofit) also add up to 620 (Keter). And if we neglect the sofit value they sum to 80, as in the spelled-out value of the letter Mem and as in the 80 times the word Sheva (7) is found in the Torah; it’s also the number of times the numerical value 358, that of Moshiach, is found in the Torah. Let the Torah be our Guide. And whether this was intentional or not, the numerical placement of the two verses 2nd Book 17:11 and 5th Book 32:40 add up to 107. Go figure! Author Jeffrey MeilikenPosted on September 15, 2010 September 15, 2010 Categories RevelationsTags 107, 14, 161, 17:11, 18, 2018, 2018 ce, 2448, 2889, 2889 HC, 32, 32 paths of wisdom, 32;40, 3330, 358, 363, 376, 40th, 54, 5708, 5778, 5778 K, 620, 66.6, 666, 7, 7 years, 70, 70 years, 77, 78, 80, Adam, Ahlag, amalek, brandwein, chai, David, Ehyeh, forever, gematria, h'moshiach, jubilee years, kabbalah, keter, king david, Magen david, Mashiach, messiah, moses, Moshe, Moshiach, Peace, Rav Ashlag, Rav Brandwein, reincarnation, secret, shalom, Song, Song of Moses, sword, sword of Moses, tree-of-life, zohar4 Comments on The Secret in the Song; The Secret of Moshiach.